I may be running a bit behind in my reading goal for the year. If all was going smoothly, I would have had 25 done by the end of June, but I did have the slump for almost 2 months where I was disinterested in reading, so the hope is, that that won't happen again. I quickly finished this book, "The Scribe," by Francine Rivers, but then again, it is a 194 page novella, that is about 6 inches x 4 inches big. 2 plural usually novellas : a work of fiction intermediate in length and complexity between a short story and a novel." So, there you go and now you know! I have been a big fan of Francine Rivers for awhile now (um, hello? Redeeming Love or Mark of The Lion Series?) and became an even bigger fan when I explored her website and discovered what a real woman of God she was! I think she did a great job with the story! The characters were intriguing (umm, Jesus and his disciples, haha,) and the plot was fascinating to hear it from a different perspective, other than the Bible. The trick with historical fiction books however, is discerning between what is fact and what is fiction. I spent a lot of time asking my brilliant husband questions and possibly scaring him into thinking that I believe everything Rivers wrote as fact, haha. We don't know Brittney. Some conjuncture it was Paul, but since the style of Greek does not match up in Hebrews with his other books, it is thought to be not likely. Oh. Well, Francine Rivers says it was Silas. haha, that man cracks me up, I tell you. So, really, as you read a historical fiction book, especially one dealing with the history of the Bible, I would strongly encourage you to do some research as you read. Keep a notepad for questions next to you, or, you know, just keep a really smart husband around. Whatever works. This book gave me alot to think about, especially since it paints the disciples in such a vivid picture. I often think of them as flat, 2-dimensional characters, but we forget that they were real people, with emotions and histories. I can't wait to get my grubby hands on the rest of the series "The Sons of Encouragement, five men who quietly changed eternity." Also, I just discovered she has a series of called "Lineage of Grace, five women who played a key role in the lineage of Christ." I can't believe you are living with your in laws. I bet some good stories will come from it! Good luck with the running. Way to go! 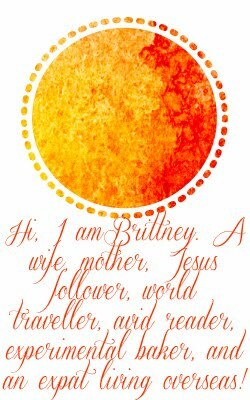 Brittney, I have read most of the Lineage of Grace series.... Sooooo good. As you said, it gave dimension to these characters that you know so little about. Great books!